2006 MY: 3.4-litre 295bhp Cayman S launched - essentially a coupé version of Type 987 Boxster S.
2007 MY: 2.7-litre 245bhp Cayman launched. 2008 MY: Cayman S Design Edition 1 (777 built) limited edition offers special stripes and Porsche Design accessories. Cayman S Sport Edition offered special colours and cosmetics with the same performance as mainstream. 2009 MY: With deliveries starting early 2009, 'Gen 2' 987 receives all new Direct Fuel Injection (DFI) engine. 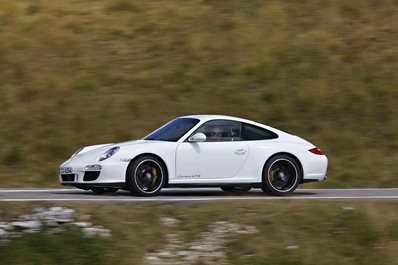 Porsche Doppel Kupplung (PDK) dual clutch gearbox replaces Tiptronic as an option. Base model engine size increased to 2.9-litres. 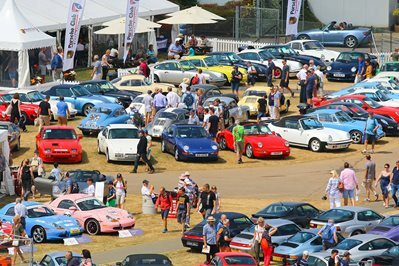 Caymans given 10bhp maximum power advantage over respective Boxsters. The Cayman is structurally based on the 987 Boxster, with a coupe roof adding further rigidity and strength. The Type 987 Boxster was itself a major redesign of the original, spectacularly successful, Type 986 Boxster. With eight year’s experience of what customers wanted, the new model had crisper, more contemporary looks and a significantly more pleasant interior that mirrored the new 997 model 911. There was more power (of course) and the range's versatility was boosted for 2006 by the introduction of the Cayman S. Remarkably, this cost more than a Boxster S (contrary to industry norms) and the new coupé took a long time to find a niche among the already impressive Porsche line-up (it wasn't an entry level model and it wasn't a 911). However, the Cayman S was joined a year later by the base model Cayman, both coupés having slightly more power than the roadsters. For a more sporting drive, the manual gearbox wins over the ultra practical Tiptronic. The full automatic is easy to live with in an urban lifestyle. The base Boxster/Cayman delivers a softer ride and has more than enough power, while the S models firm up the suspension and brakes and offer some 50bhp more - making them superb for overtaking. Quality took a significant step forward with the Gen 2 models (the 58 plate cars for the 2009 MY). The all-new engine shrugged off the spectre of potential major engine issues that dog the earlier cars and are worth the financial stretch. The Cayman is an easy car to convert to from any mid-size saloon - as mentioned the 2.7 is a great everyday driver, while the S is slightly more focused. Both models have impressive reserves of performance and driving safety margins. Most Caymanss didn't receive too many factory options when new, so well optioned cars are unusual. This is a model that simply doesn't need too many options to enjoy. Desirable options include 18-inch alloys for the base models, traction control, rear Park Assist, heated seats and cruise control. The Gen 1 cars could be optioned with the improved Porsche Communications Management 2 (PCM 2), which offered a radio/CD and sat-nav, with an optional phone set-up. Correct servicing is a critical requirement on all Cayman models, which includes routine checking of the coolant system. Servicing costs vary across the country but would typically range from £300-600 + VAT (depending on whether you need a Minor (Intermediate) or Major (Maintenance) service and excluding items like brake fluid change, spark plugs and other wear and tear parts). Brake wear depends on driving style, but for a manual 2.9-litre car, these typically should last 20K miles. To replace the front discs, pads and pad wear sensors is likely to cost £600 with a similar amount for the rear brakes. The Gen 2 models have the all-new DFI engine and in our experience this has designed out all the previous trending major issues.